Refreshing neutrals create a beautiful backdrop for deep teal and rich coral accents in this WB Homes’ model home, merchandised by Lita Dirks & Co. When designing and styling the Saddlebrook Estate model homes, the goal was to create a casual sophistication that appeals to home buyers who are either looking to downsize or have a small family." W.B. Homes, a highly respected and family-owned company based in North Wales, PA, was recently honored Community of the Year at the 2016 Home Builders Association Synergy Awards for their Saddlebrook Estates new home community. The HBA Synergy Awards, held on April 21, 2016, recognized leaders in the sales, marketing, merchandising and home building industries within the Bucks, Chester, Delaware and Montgomery Counties of Pennsylvania. 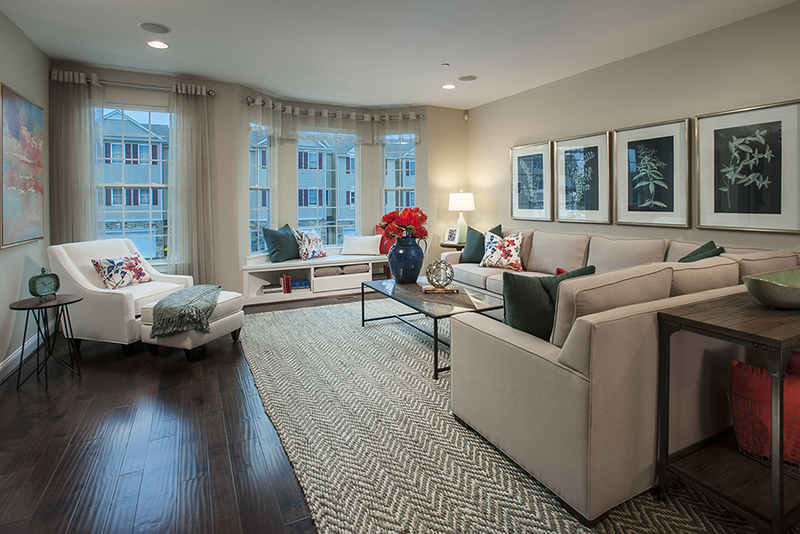 Saddlebrook Estates, located in Bensalem, PA, is a private enclave of 73 luxury townhomes. Lita Dirks & Co. was honored to merchandise the models in this exceptional community. Lita Dirks & Co. was founded on the philosophy that great design is developed through demographic research, robust collaboration, out-of-the-box thinking and the ability to create design that emotionally connects with people. It’s the foundation for successful sales, happy homeowners and long-term relationships with their clients. The company’s talented team of professionals design award-winning model homes, clubhouses, apartments, and sales and design centers for builders, developers and property management companies throughout the country. To learn more about Lita Dirks & Co. visit www.litadirks.com.